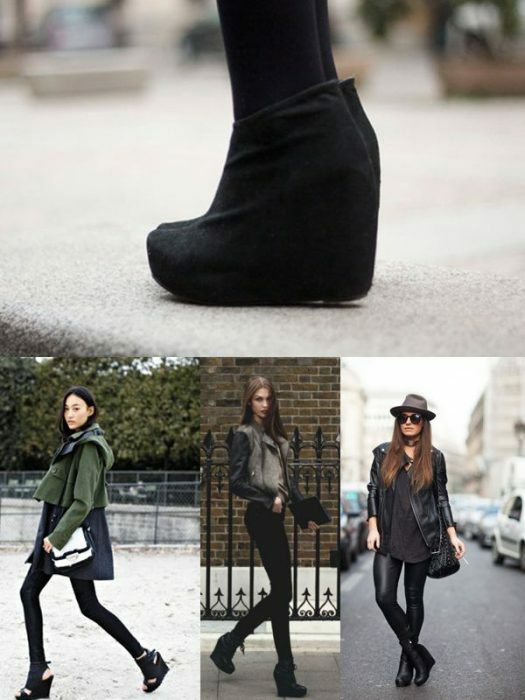 If you want to wear a balanced footwear that is both stylish and comfortable, then you definitely should try ankle boot wedges. These boots are made for the autumn season and I am pretty sure you gonna love to wear them with pretty much everything. 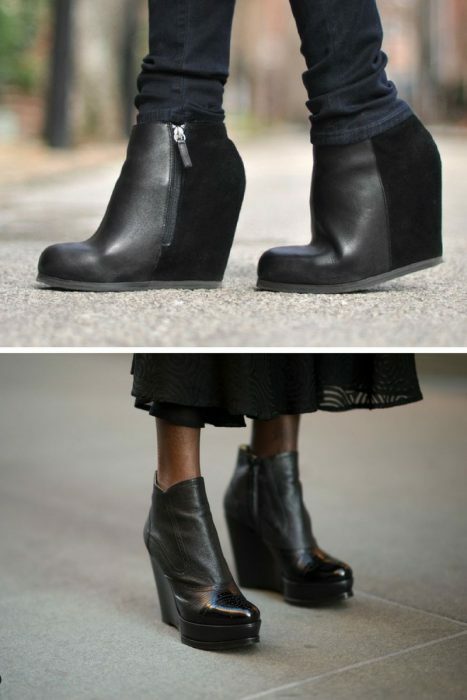 I highly recommend to start with simple black wedge ankle boots, so you can see what kind of clothes work great with these shoes. What I love about this footwear, then its design and height, they are not too high and can still visually elongate your legs. My favorite look is the one that features black tights, black wedges, short dress and a black short coat with fur collar, but you can go for a smart-casual style by adding skinny jeans, light sweater, and leather jacket. Anyway, read on to find out more about this fabulous footwear. 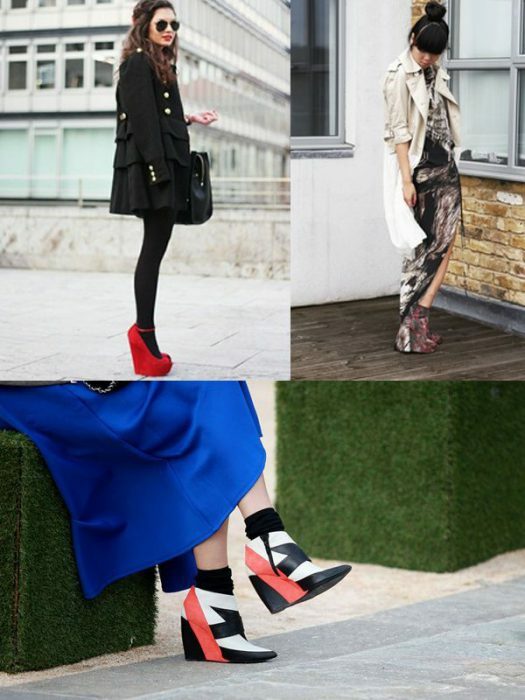 I see lots of ladies who are obsessed with wedges and it seems to me we are having a shoe trend for the next 2018! This footwear has a great potential, as you can use it for all kinds of occasions. As I have already mentioned, the best thing is to find a simple pair for a start and try them on with your everyday essentials, no matter if it’s an office attire, casual outfit for walks in the streets or weekends look. 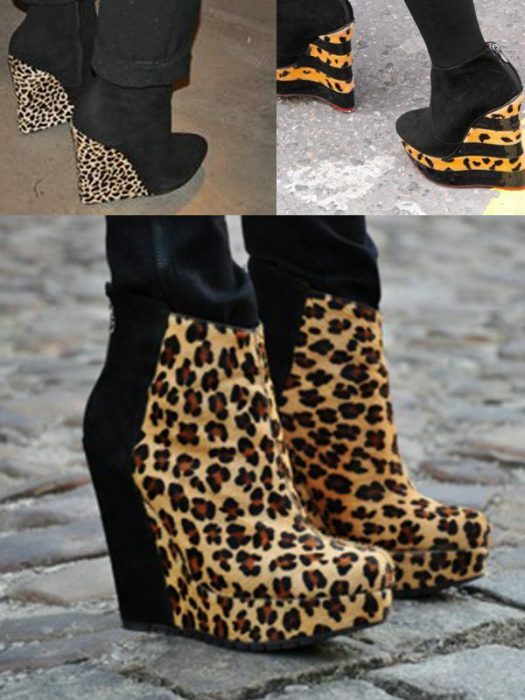 Once you know how these wedges work, you should give a try to printed ones, how about leopard print? It does look amazing with neutral or dark colored clothes.